Sydney, Brisbane, Melbourne, Perth and Adelaide. London, Paris or *Europe: Amsterdam, Athens, Barcelona, Brussels, Budapest, Copenhagen, Dublin, Dusseldorf, Frankfurt, Hamburg, Istanbul, Lisbon, London, Madrid, Manchester, Milan, Munich, Nice, Oslo, Paris, Prague, Rome, Stockholm, Venice, Vienna, Warsaw and Zurich. Advertised Europe fares are based off a return trip to Zurich. Fares to other European cities may vary. Please note: Advertised fares are via Bangkok with Thai Airways. Other Asian stop over cities & airlines are available, for more information, please contact one of our Travel Specialists. Swiss Airlines do not fly from Australia so codeshare with a variety of other airlines including Thai Airlines. This list is not extensive and every codeshare airline is subject to availability and may not be available on very day. There may also be a supplement depending on which codeshare airline you choose. Flights from Australia to Asia on Thai Airlines. Swiss Airlines flies between the stopover cities and Europe via Zurich. Stopovers permitted: Bangkok, Hong Kong or Singapore. 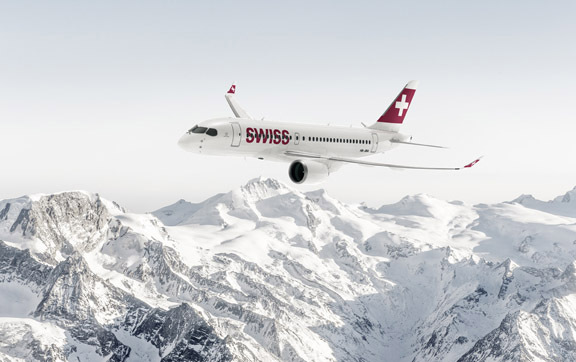 Swiss Airlines flies between the stopover cities and Europe via Zurich.